Scandal's daughter . . .Madeleine Willits was shunned by London society for a scandal that was no fault of hers, and forced to seek a paid position in the country. So when Quinlan Bancroft, Marquis of Warefield, comes to direct the household during his uncle's illness, Maddie is determined to detest the nobleman on sight. But though the marquis is easy to dislike, the man himself is a different matter. Small wonder, then, that Maddie quite forgets herself when he enfolds her in a sweet embrace . . .Meets the noble lord . . .Caught kissing his uncle's lovely young companion, Quinlan feels he should make amends, and uses his rank to re-establish Miss Willits in society. Unfortunately, it is soon apparent that Maddie has no idea how to resist importunate young rakes who deem her ripe for the plucking. But Maddie knows there is only one rake whose attentions she truly needs to fear—because only Quinlan Bancroft possesses the power to break her heart. Madeleine Willits after being caught up in a scandal by no fault of her own, becomes shunned, and leaves her family and becomes a companion to a elderly man who runs a estate. After living there for four years, she trust no one that is in Society. 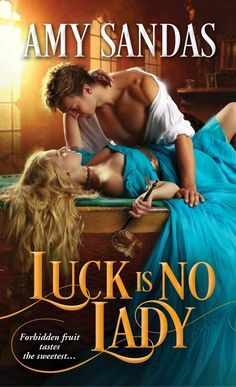 So when Malcom’s nephew Quinlan, Marquis of Warefield comes to help with the estate, Maddie has much distrust for this marquis whom she finds easy to dislike yet she starts to warm up to him, but when she is caught in a passionate kiss once more, she is caught up in a plan to re introduce her into society. After Quinlan is caught kissing the lovely Maddie, he vows to make amends despite all of her protests, even if its for her own good. They journey to London despite Maddies distaste for this plan, but only agrees out of promise she makes to Malcolm who is like her family, one who has loved her like a daughter. So despite her distaste for being introduced into society that rejected her in the past, she discovers a future one where she finds herself aching for a certain Marquis to love and keep her, but is far from trusting him because she doesn’t want Quinlan to break her heart as she fears, but will she find the courage to fight for the one that she loves? Its been awhile since I have read anything from this author, but I do so love her books, they are filled with such passion and a engaging plot that will delight you. As with every one of Enoch’s books, I found myself finding it hard to put By Love Undone down, for it was so uniquely written, yet this book is similar to her other books, whereas its a mixture of passion, enticing plot, and engaging characters that will only leave you breathless for more of her well written romances that takes your breath away. I truly had few complaints about By Love Undone, except for the fact that in the beginning both Maddie and Quinlan seem to act more like children than adults in their interaction with one another but as the story progressed the characters seemed to progress in maturity. But other than that it was a lovely read!! !